Vaudeville was the popular entertainment before the advent of motion picture houses, though it was not uncommon for live shows to be complimented by a few silent movies. Though there was an amateur theatre community in Perth, many shows were brought across from the eastern states. 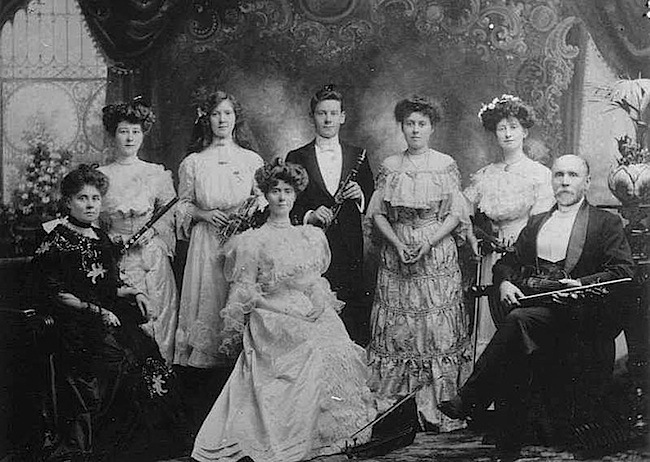 As people often entertained themselves, family or friends, it was not uncommon to be taught an instrument or attend singing or dance lessons. This created among the more talented a source of performers, even if they only engaged in this part time. Soon many picture houses would spring up, some as picture gardens and others with a hard top. As there was a lack of air-conditioning in our warm climate, a number of early theatres had a roof that opened up to the cool evening skies. The Edwardian-style His Majesty’s Theatre replaced Ye Olde English Fayre at the corner of Hay and King Streets in 1904. During World War II, His Majesty’s Theatre functioned chiefly as a cinema due to travel restrictions on touring companies, and as it was considered too large to provide a feasible venue for locally produced live-theatre productions, the Playhouse Theatre in Pier Street was built. Kings Theatre, 52-62 South Terrace, Fremantle. 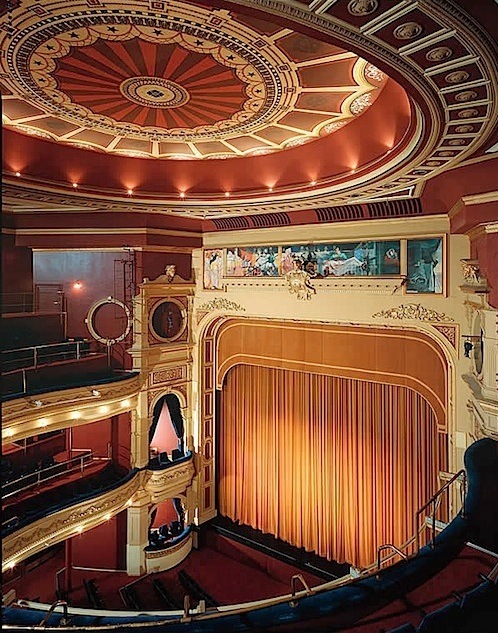 Opened as such on 27th September 1904 (formally the Dalkeith Opera House), where a range of promoters presented live performances from concerts, pantomime, plays to follies featuring singers, dancers, musical and acrobatic numbers, and West’s Pictures or Spencer’s Pictures screening films. Often sharing the same program as that provided in the Queen’s Hall in Perth or the Shaftesbury. Kings Theatre was also used for boxing contests. It was 1910 when it became the venue for West’s Pictures at the Port. From 1908, the company was also exhibiting films at the Melrose Gardens in Murray Street, Perth. West’s Pictures were established by English theatrical entrepreneur Thomas James West (1885-1916) who helped turn the company into one of Australia’s largest exhibitors. The theatre was under the management of Albert Clark, for its role as an early silent movie venue. 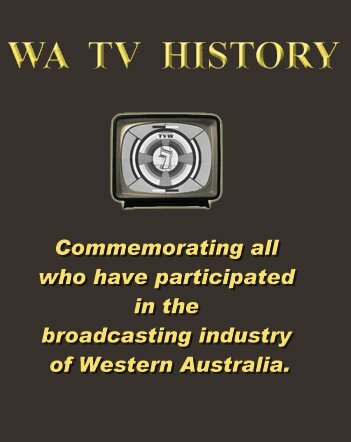 West’s Pictures soon merged with other existing film distributors, first becoming ‘the General Film Co of Australasia’, then ‘Union Theatres and Australasian Films’. Union Theatres was liquidated during the great depression, and its assets purchased by Greater Union Theatres. The cinemas are now owned and operated in Australia by Village Roadshow. Mr. George R. Lawrence was instrumental in presenting much early live entertainment in Perth and Fremantle from as early as 1895, often accompanied by films from the British Biograph studios. He was also involved with more than one incarnation of Ye Olde Englishe Fayre. The Shaftesbury Hotel was built about 1904 by Thomas Alfred Shafto, businessman, Perth City Councillor and owner of the Shaftesbury Gardens at 49 Stirling St, Perth (a semi-open air picture theatre with a seating capacity for 2000 people that opened in 1911). The Shaftesbury, the Luxor and the Tivoli, were all on the same site, but at different times. It was a celebration of Perth’s home of vaudeville where comedians, clowns, tumblers, acrobats, magicians and dancing girls all performed. This fleapit theatre remained as the Shaftesbury until it closed in 1924, re-opened as the Luxor in 1925 to be called the Ritz in 1934 and then back to the Luxor. The Ritz at this time was routinely promoted as “formerly the Luxor Theatre” (having been renamed in March 1934). 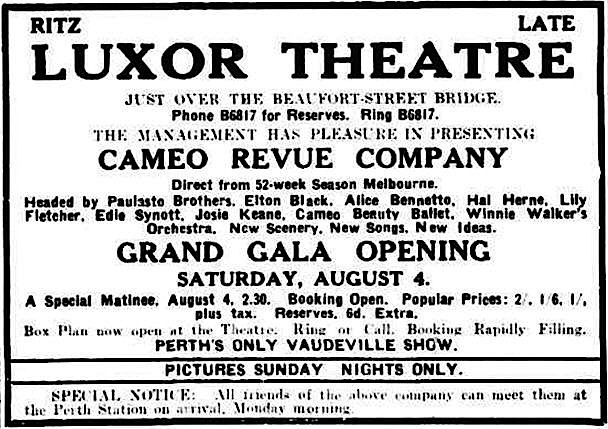 The venue appears to have struggled to establish its new identity, and a few weeks into the Cameo Revue Company season “Ritz” was removed from advertisements and replaced with Luxor. 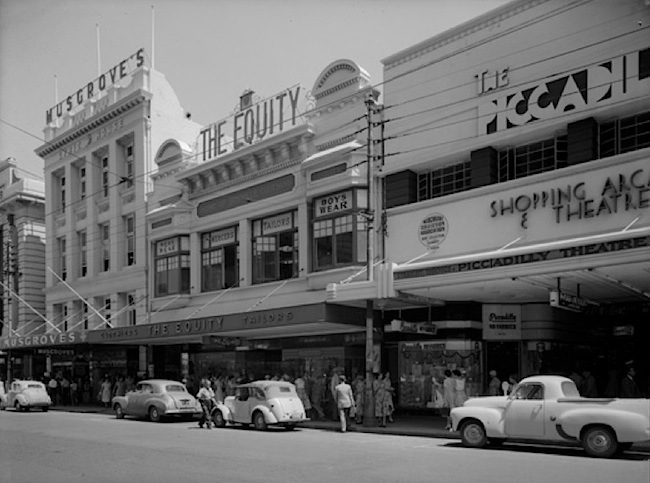 In the forties it was known as the Tivoli, then it was converted for dancing and became Canterbury Court Ballroom with a muti-story car-park added above in 1969, before demolition in 1990 and then for a while the site of the Myer Megamart building. The Taits, Johnson and Gibson merged their film interests in 1911 to form Amalgamated Pictures which continued to produce features and newsreels. Amalgamated combined with its main opposition, Australasian Films, in 1912, and the Taits then concentrated their energies on concert presentation and occasional film exhibition. In 1920, their production company, J. & N. Tait, combined interests with the J. C. Williamson Film Company which produced a number of feature films during 1914-1918. The Tait brothers also amalgamated their concert management with J. C. Williamson in 1920 to form the largest theatrical empire in the world, offering a constant flow of ballet, drama, grand opera and musical comedy. J. C. Williamson continued to promote celebrity artists until 1976, when production ceased, its theatres were sold and the company closed and leased out its name. It was a company founded by James Cassius Williamson (1845–1913) an American actor and later Australia’s foremost theatrical manager, until 1907 when Williamson reduced his managerial work and spent more time with his family overseas. The fortunes of the company over the next fifty years were primarily guided by four of the five the Tait brothers, John, Nevin, E. J. and Frank Tait who, at the invitation of chairman of directors George Tallis, became managing directors in 1920. With the passing of the Tait brothers, the company struggled to survive mergers and restructuring during the 1970s and 1980s. in 1976, the firm was sold to a new company, J.C. Williamson Productions Ltd, a consortium headed by Kenn Brodziak of Aztek Services Pty Ltd, with Stadiums Ltd and Edgley International. The new company presented plays and musicals including Chorus Line, before moving into the area of concert promotions. In 1984, it was acquired by the private investment company, the Danbury Group, who in 1997, revitalised the company as J.C.Williamson Entertainment Inc, an American based independent group of companies involved in live and filmed entertainment. The Tait Memorial Trust was formed in 1992 by Isla Baring in memory of her father Sir Frank Tait and his four brothers who played such an important part in the establishment of theatre and the performing arts in Australia. The Tait Memorial Trust raises money to help support young Australian musicians and dancers who need financial assistance while they are studying in the UK, as well as general help in the furtherance of their careers while resident in the UK. The five Tait brothers were Charles (1868–1933), John (1871–1955), James Nevin (1876–1961), Edward (1878–1947) and Frank (1883–1965). Between 1901 and 1914, one of Australia’s first travelling film shows was presented by the Corrick Family Entertainers, later known as The Marvellous Corricks. 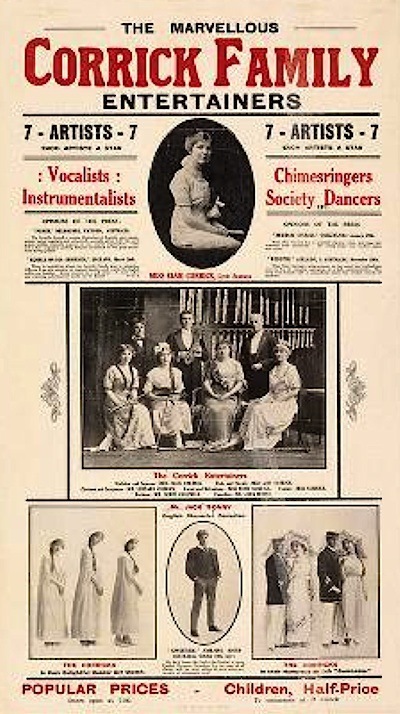 Albert and Sarah Corrick and their eight musically talented children toured Australia and the world with a show balancing live music, vaudeville-style comedy and film programs. Films included short melodramas, coloured fantasies with special effects and travelogues shot in the towns they were visiting. Emily Eleanor Gertrude (‘Gertie’) (1878-1945), Alice May (1880-1956), Amy Beatrice (1882-1968), Ethel Mildred (1884-1971), Henry John Leonard (‘Leonard’, ‘Sonny’) (1886-1967), Ruby Florence Elizabeth (1888-1948), Jessie Winifred (1892-1957) and Elsie Collingwood (1894-1974). The son, Leonard Corrick is believed to have made up to ten films in Australian towns during their time on the road. Sadly only two have survived, both featuring Western Australia. One moves up and down the streets of Perth recording the action on the street. 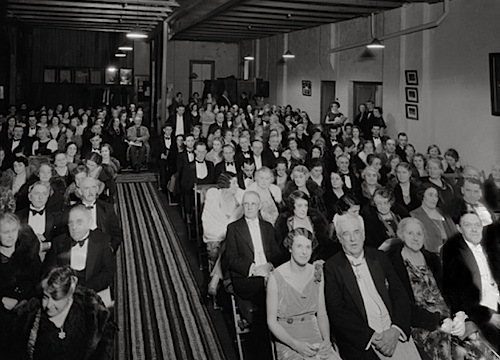 The Corricks advertised the time and place of filming to ensure crowds on the street and a full house for their next evening’s performance. Whilst in his teens, Leonard Corrick developed an interest in photography and convinced his father to purchase a magic lantern projector, which by 1900 proved popular with audiences when used to provide a backdrop picture for certain songs. In 1901, the family obtained an Edison projector and a small collection of moving films, which were promoted as “Leonard’s Beautiful Pictures.” To better cater to people in country towns, the Corricks obtained a portable electricity generator in 1906, to improved stage and projection lighting and illuminate the sky with a spotlight to attract customers. In 1905, the first theatre designed solely for motion pictures opened in the United States, located at Pittsburgh, in Pennsylvania. The venue was called a nickelodeon because the price of admission was a nickel, a five-cent coin. 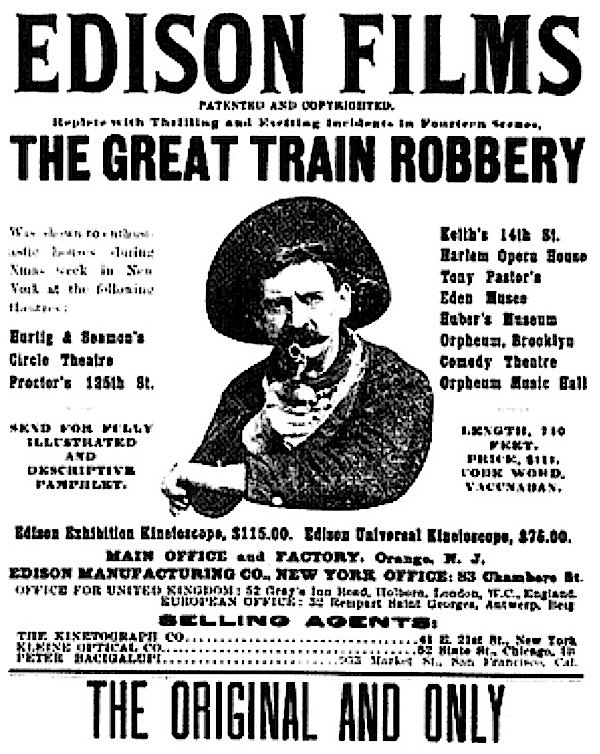 “The Great Train Robbery”, made in 1903 by the Edison Manufacturing Company, with a duration of only 11 minutes, became the first attraction. The theatre had 199 seats and it was soon filling them. So popular and lucrative was the concept in the US, that there were 3,000 nickelodeons by 1907 and 10,000 by 1910. 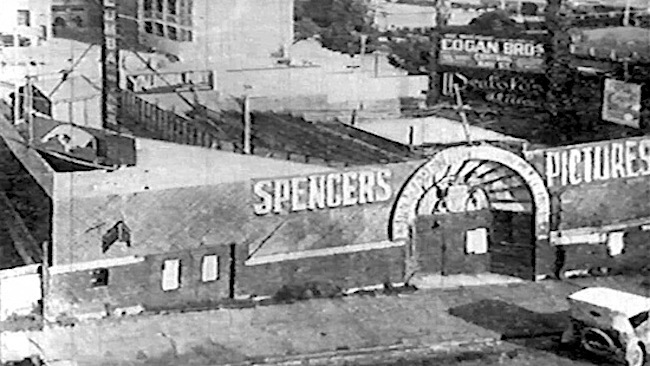 In 1908, King’s Picture Gardens in William Street became the first premises in Perth designed and built exclusively for the presentation of moving pictures, before becoming Spencer’s Esplanade Gardens in 1911, which combined films with boxing events. 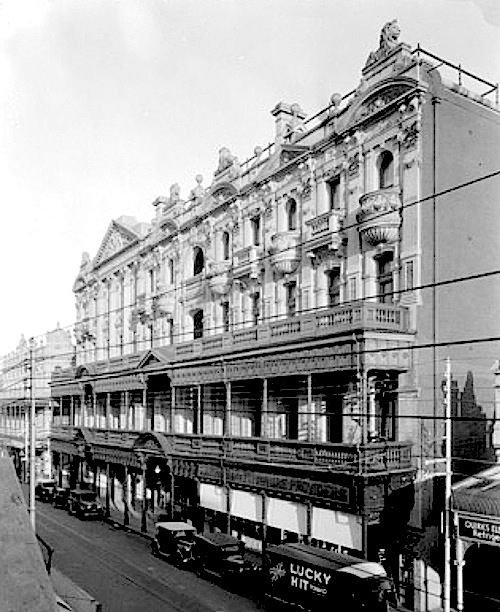 This site was later redeveloped to become the Capitol theatre and the Temple Court buildings housing the Embassy Ballroom at 2-10 William Street, Perth. 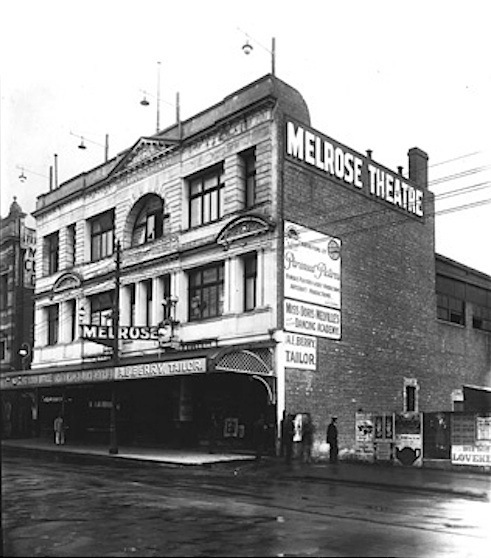 In 1908, the Melrose Gardens in Murray Street was showing films provided by the British exhibitor T.J. West (West’s Pictures), with the venue turned into a barn like establishment in 1911, which eleven years later was transformed into the prestigious Prince of Wales Theatre, that opened in December 1922. This was sited next to the Bairds Department Store. 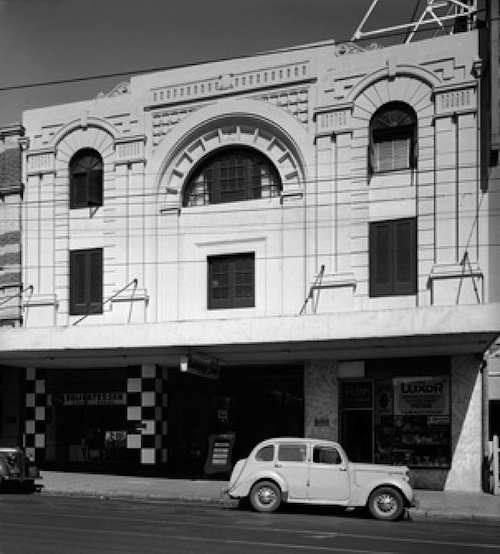 In 1911, located at 227 Murray Street, Perth, the Empire Picture Palace was the first purpose-built hardtop cinema in Western Australia. It only opened briefly, then changed owners and in 1912 was renamed the King’s Picture Palace, but then ceased operations again in early 1913, to change ownership again and be renamed the Melba Picture Hall, until it closed permanently in 1914. 1911 set a record for Australian film making that would remain unsurpassed until 1975. Bushranger films proved highly popular until banned in three states the following year, NSW, Victoria and SA, claiming they mocked the law and glorified criminal behaviour. 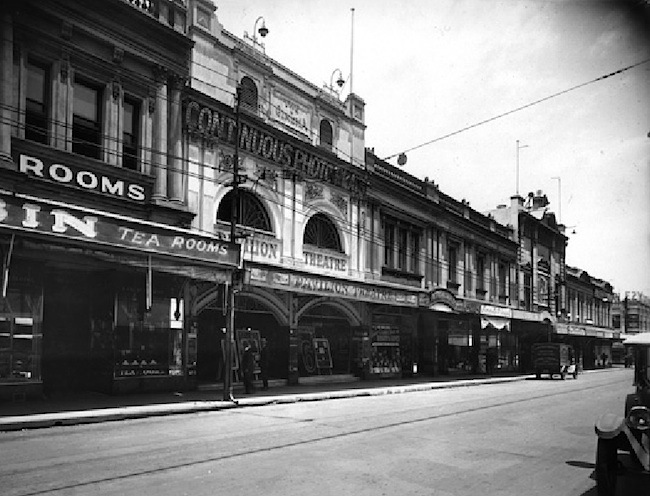 In 1912, the Princess Theatre in Fremantle was opened. In 1913 there was a great decline in local production caused largely to a series of amalgamations and mergers which led to a monopoly that was not interested in producing Australian films, but rather distributing and exhibiting imported attractions. The outbreak of the First World War also caused European film production to a halt. Within a few weeks of the Australian landing at Gallipoli in 1915, the scene was restaged near Sydney for the feature film “The Hero of the Dardanelles”. This and “Within Our Gates” (also known as “Deeds that Won Gallipoli”) and “The Martyrdom of Nurse Cavell” (1916) proved popular until the horrors of war sunk in and audiences sought escapism and comedy. After the First World War, Hollywood emerged as the dominant movie producer, distributing films in Australia with so much success that by 1922-23, a majority of films (94%) shown in Australia were American. In 1914, the Pavilion Theatre opened at 709 Hay Street in Perth. It was another purpose-built hardtop cinema in Perth following the Melrose hardtop in 1911. The one thousand seat Pavillion was advertised as ‘the People’s Theatre’, but lacked the audience comforts of the more modern cinemas, resulting in the property being sold in the early 1930’s to became shops. Pavilion Continuous Picture Theatre was sited in the present building that is located at 709 to 711 Hay Street Mall, Perth. The front of this heritage listed building no longer resembles the former theatre, which resided there in from 1914 until 1930. Prior to that it was occupied by Barnett Bros Glass Merchants in 1903-08, W.A. Book & Art Depot in 1909, W.A. Book & Art Depot & Registry Office & Jas Goss Wire Worker in 1910-11, Walter Buckridge Optician & Jas Goss Wire Worker in 1912-13, then Pavilion Continuous Picture Theatre, in 1914-30 (seating 870 people). In 1930, the Pavilion transformed into Perth’s first 18 hole Miniature Golf Course. In 1932 Walsh’s Ltd mens wear, bought the building and operated from the site, until expanding and moving to the former Cox Brothers Economic Store site on the corner of Hay and William, opposite the Wesley Church. In 1916, the silent film only cinema the Palladium at 723 Hay Street, the Majestic at 656 Hay Street and the Grand theatres all opened. Majestic had a policy of cheap admissions and continuous screenings and to meet with the public demand, movie sound equipment was installed in 1930. The Majestic was demolished in 1937, taking over the neighbouring building between the theatre and the Savoy Hotel, to use the expanded block to erect a modern arcade with shops on the street level and the Plaza cinema seating 1,313 above. The theatre was renamed the Paris in 1965 and finally closed in 1984. The building still exists and is heritage listed, though access to the auditorium is now restricted to the fire escape from a rear entrance on a lane-way, midway down the arcade. 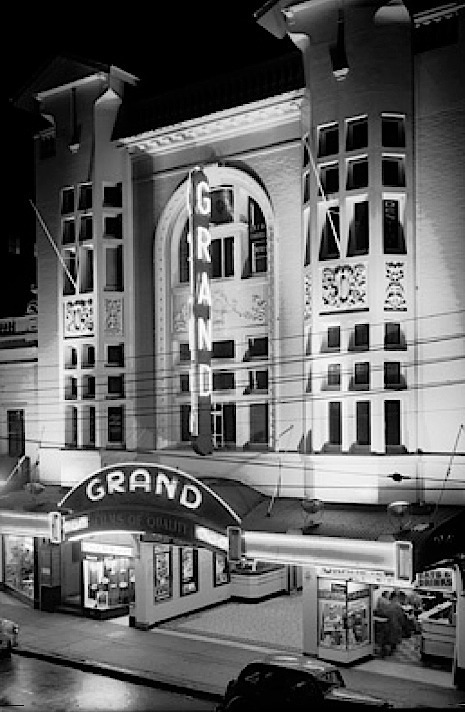 The Grand was located at 164-8 Murray Street, Perth. The former Palladium building still exists and is clearly identified as Bacton House. This rendered federation free classical design heritage listed building at 723 to 727 Hay Street Mall in Perth, was built in 1900, and occupied by the Palladium Picture Palace in 1918-25, Bunney’s Frock Shop in 1938, and Corot & Co Ltd Frocks in 1939-49. It displays a Worth’s Menswear neon sign and current houses a variety of small fashion stores. Also in 1916, another Majestic Theatre opened in High St, Fremantle. It seated 1,000 and was located in a building that still stands in the port city. In August 1918 the lease was taken over by J. C. Williamson Films, a movie making unit of the theatrical firm J.C. Williamson Ltd, which produced a number of feature films during 1914-1918. They were concerned with reports of American films being made from plays which they were producing in Australia, and decided to move into film productions themselves. The produced the following films: Within Our Gates (1915), For Australia (1915), Within the Law (1916), Nurse Cavell (1916), Get-Rich-Quick Wallingford (1916), Officer 666 (1916), Seven Keys to Baldpate (1916) and His Only Chance (1918). 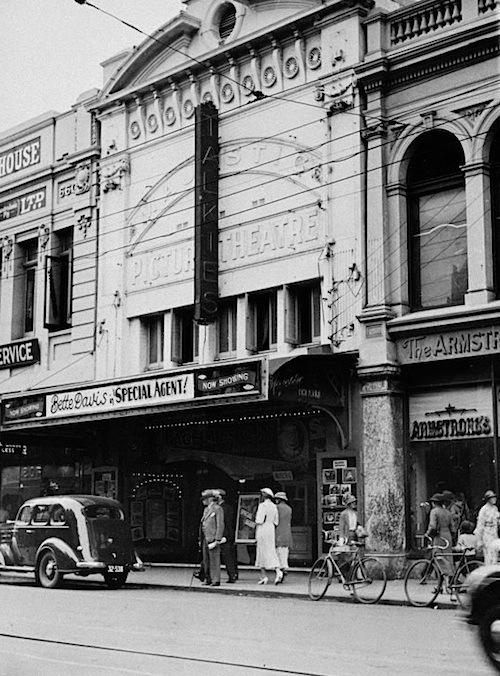 Hoyts took over in 1927 and operated the theatre until it closed in 1938. Prior to the introduction of film sound, it was the acts that performed on stage that were being replaced by the celluloid performers, as the audible entertainment was still coming from musicians in the theatre. Vaudeville would hang on till television made an impact, almost forty years later, for primitive TV was little more than bicycle parts with an electric motor spinning discs with nothing more electronic than a photoelectric cell and some wiring. Technology that bore no resemblance to the idiot box of today. 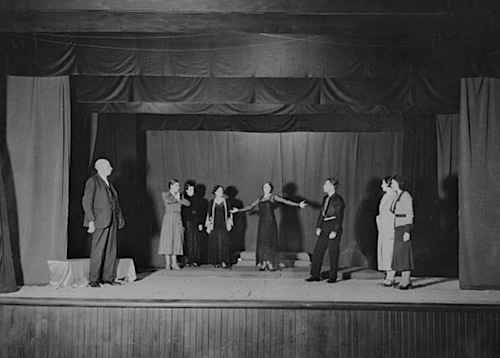 Four years after the University of Western Australia opened its doors in 1913, the University’s Dramatic Club came into being in 1917 – two years before the Perth Repertory Club was formed. An article published in Uniview magazine, Winter 2007, pp23-25, provides great insight into activities within the University of Western Australia Dramatic Society and its many students, performers and influential patrons. Old programs and theatre reviews throw up familiar names – Sir Paul Hasluck, who later became Governor General, produced “Murder in the Cathedral” in front of the St George’s Chapel in 1938. Katharine Brisbane and her late husband Dr Philip Parsons, founders of Currency Press, met at UWA and were involved in campus theatre before going on to publish David Williamson and others, and to have an extraordinary impact on Australian drama. Faith Clayton followed memorable performances in student theatre with those in professional theatre. Poet and playwright Dorothy Hewett added a radical touch to campus theatre, writing experimental plays for the New Fortune stage from the 1960s to the 1980s; celebrated painter Guy Grey-Smith painted murals on hessian for the old Dolphin in 1960; and actress Greta Scacchi (who enrolled at UWA but did not complete a degree) added her fledgling star quality to several UDS productions in the 1970s. And comedian/musician Tim Minchin, who won the 2005 Edinburgh Festival Perrier Newcomer Award, and who recently made a return trip to perform in his home town, also enlivened campus production. Tim, who now lives in London, did several theatre units as an undergraduate and performed in Theatre Studies and UDS productions. The University Dramatic Society is a student-run theatre company based at the University of Western Australia. Affiliated with the Guild of Undergraduates, and open to students and others alike, UDS has a reputation for producing original works, as well as performing contemporary and historical theatre. 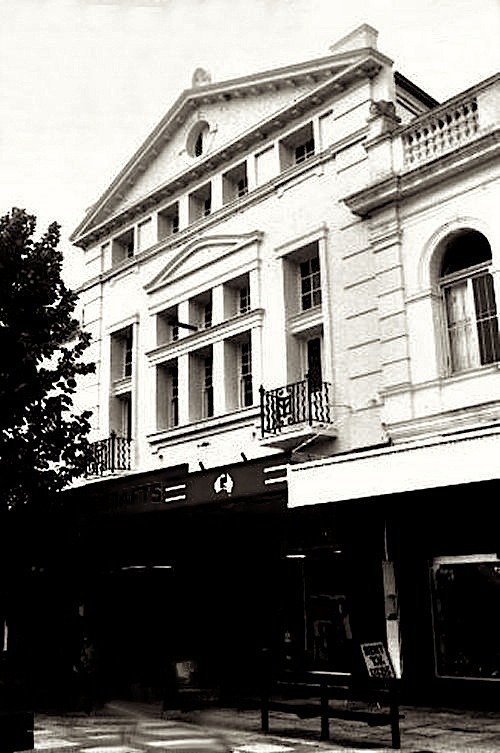 In 1919, the Perth Repertory Club was established and initially worked out of a basement room at Perth’s Palace Hotel, then later, the old composing room of the West Australian Newspaper. The Repertory Club started as a social club for people interested in dramatic art, music and the presentation of plays, with the first meeting held in the basement rooms of the Palace Hotel. 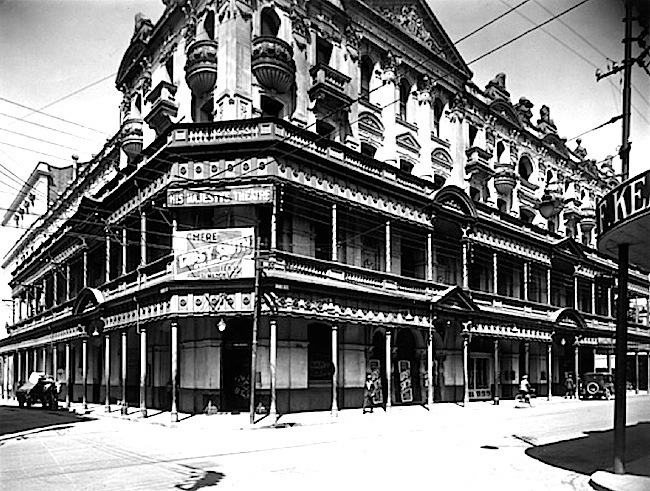 From the Palace, the club moved to the Commerce Buildings in King Street by 1922. They then rented a cottage next door to the Assembly Hall (formally St. Andrew’s Hall) in Pier Street, where they staged most of the productions for a period of 11 years. This consisted mainly of monthly musicals, social evenings and impromptu parties. 143 full length plays were produced and 109 one-acters during this time. 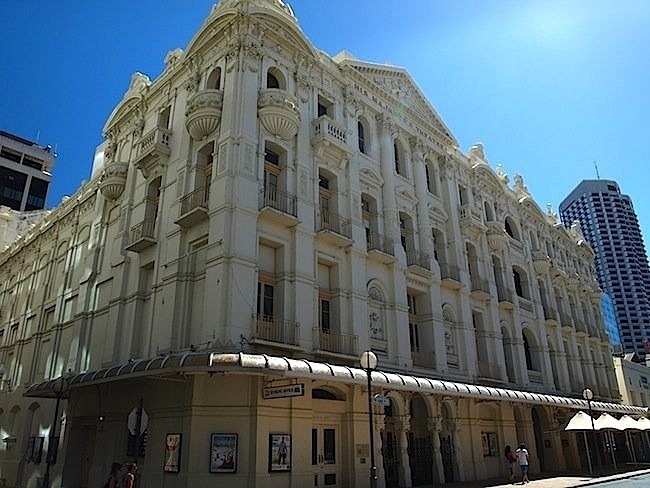 Their final move was to the West Australian Chambers before the club assumed the name of The National Theatre Company and moved to the Playhouse Theatre in Pier Street in 1956. 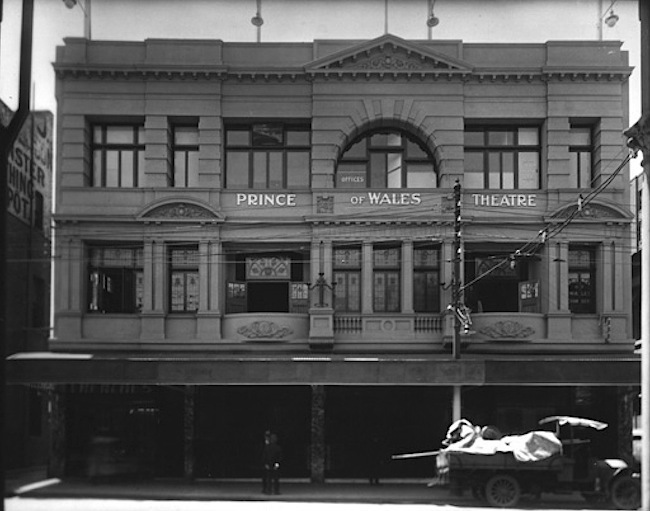 The prestigious Prince of Wales Theatre opened at 254 Murray Street, Perth, in December 1922 to present vaudeville for the first half, followed by a short film comedy or cartoon, before the interval and the feature film. Hi, I am interested in finding out more about the history of Shaftesbury Theatre in Perth and the magician Great Scott, who performed there in 1913&1914. 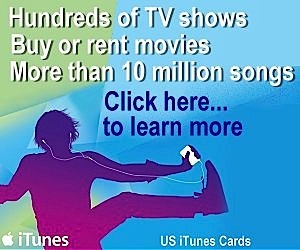 Would appreciate any links to sites that might have more information or even pictures. Thanks kindly. The Shaftesbury Review put on a production of “Naughty Nedlands” and its sequel “Naughtier Nedlands” in 1917. Nedlands Library would like to know anything more about the plays and the theatre.